Hillary Clinton has made huge strides this week courting education voters. 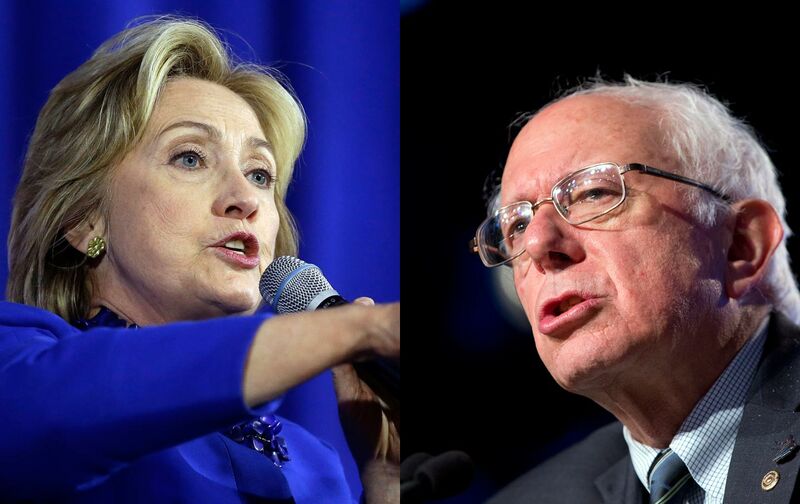 The Democratic Presidential candidate made a statement critical of scandal ridden charter schools. She also met with educators to answer questions in a closed door meeting. Meanwhile Clinton’s main competition for the Democratic nomination, Bernie Sanders, remains silent on K-12 public education. He’s a favorite among teachers but he hasn’t really articulated much of an education policy at all. 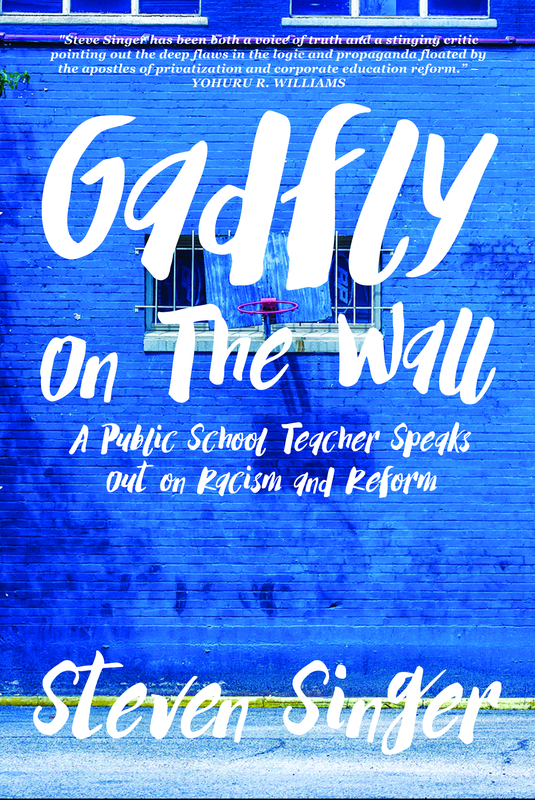 Parents, educators and students are looking for a candidate with the guts to turn away from the destructive school policies of the last two presidents. Both George W. Bush and Barack Obama have increased privatization and standardized testing while reducing teacher and community autonomy. Instead of helping alleviate an epidemic of child poverty, they have blamed the problem on schools and teachers while starving them of the funding they need to succeed. Frankly, moving away from these corporate education reform policies is a bad fit for Clinton. Her past education positions have been almost identical to that of the Obama administration. She’s been a strong advocate for charter schools and Common Core. She receives hefty support from wealthy corporate school reformers like Eli Broad, George Soros, Bill and Melinda Gates and the Walton family. After all, her first major policy achievement was her 1983 campaign to establish accountability-based school reform in Arkansas when her husband was Governor. Her connections to this movement have not weakened. Just this week, #TeachStrong – an education reform organization – was launched with ties to Clinton. The group is organized by the Center for American Progress (CAP) – a think tank long affiliated with both Hillary and Bill. Husband and wife have hired numerous staffers from this organization and have championed policies that originated behind CAP’s closed doors. Many education observers are theorizing that the #TeachStrong initiatives which blame teachers and try to make their lives more difficult will eventually become Clinton’s education policies if she becomes President. By contrast, Sanders would seem to be well suited to oppose these corporate-driven school reforms. He’s anti-privatization, anti-Wall Street and pro-worker. His vitriol against the banking industry and the 1% using tax loopholes to avoid paying their fair share would only be enhanced if he included corporate school reformers on his hit list. These are, after all, most of the same people he’s already going after just for different reasons. Unfortunately, he has yet to embrace public schools. Up to this week, both he and Clinton favored only pre-kindergarten and college support. Now she has started talking about K-12, but Sanders’ lips remain buttoned. Perhaps this is because he thinks education voters have already sided with Clinton. The largest teachers unions – The National Education Association (NEA) and the American Federation of Teachers (AFT) – both endorsed Clinton in the primary. However, in each case these endorsements were highly controversial coming mainly from union leaders without much or any involvement from rank and file members. Clinton seems to know that top-down endorsements alone won’t get her votes. She needs to win the hearts and minds of membership, and she seems to be committed to doing just that. Her education comments may not be entirely satisfactory, her connections may be highly unsavory, and her history may be deeply disturbing, but at least she’s making the effort to reach out to voters who care about the education system. Sanders, where are you? You’re a Democratic Socialist. You say you’re committed to the public good. What is a greater public good than public schools? The education vote is by no means decided. It remains on the table for either candidate to take. Personally, I don’t think Clinton is a good choice to come to education’s rescue. No matter what she says, I just don’t trust her. Someone who champions privatization isn’t going to save us from for-profit charter schools. Someone who is in bed with the testing industry isn’t going to reduce standardized testing. Someone who helped establish Common Core isn’t going to repeal it. Of course, there is another possibility. Perhaps Sanders is against us as much as Clinton. Perhaps there is no major politician out there who has any interest in saving our schools. Perhaps we really are alone. In that case, maybe we shouldn’t wait for major politicians to come to us. Maybe we should consider supporting someone who is honestly in favor of us but does not yet have much political clout. What say you, Dr. Jill Stein? In the meantime I find myself waiting impatiently for Sanders to make his move. But I won’t wait forever. If he wants my vote – and the votes of hundreds of thousands of parents and teachers – he’s going to have to make his case. Otherwise, we’ll look somewhere else. I feel exactly the same way. I’ve contacted the campaign a couple of times to try to explain all this, but no response besides “Thank you, we’ll see this gets to the appropriate people.” And it’s very frustrating, because obviously supporting Dr. Stein would not be as effective for us as getting Bernie to see the light. Without a clear and safe supporter of public education that teachers, parents and children can trust from the two major parties, I will be voting for the Green Party candidate in 2016 even if it means I throw my vote away and the Democrat loses to the GOP. In fact, it doesn’t matter who wins from one of the two major parties, the people will lose and only a few billionaires and their puppets will win. WAIT! That means if I vote for a Democrat or Republican, I WILL be throwing my vote away. A vote for the Green Party is a vote for the people and not the billionaires even if the oligarchs win. Anyone who votes for an oligarch supported candidate is throwing their vote away and helping burn the Constitution and the Bill of Rights and build more private prisons and corporate Charter schools with an Eva or Michell Rhee in charge who abuses and tortures OUR children while their children are pampered in private schools. During a presidential election, candidates have many, many “closed door” meetings with groups which then support them. Who will benefit once the candidate is elected? The leaders who rounded up the votes. Lily and Randi will be richly rewarded with appointments, advisory committee positions and $$$$$$$$$. What about teachers and public education? Look whose campaign money is being poured out to support Hillary. Eli Broad is merely the tip of the corporate education reform iceberg. I’d rather take my chances with a democratic socialist who has not made his position on K-12 education explicit than to vote for a candidate who will say anything to get votes…or, for that matter, a third party candidate who says all the right things, but has no prayer of making a dent in the electoral college.